This is Naomi. I first met Naomi in 2004 when she first came to my bootcamp classes. Actually, she reminded me that she attended my kickboxing class at Centennial Community Centre when I worked for the City of Markham. When she was ready to start her fitness routine after her 1st child she did a google search and found me. Remembered my face and immediately contacted me to join. Here is her story. After my first child (son) in Nov 2013 I was about 155 pounds and a size 10 or 12 (as I never liked my pants to be too fitting). I maintained roughly the same weight and size for 2 years and then became pregnant with my second child (daughter). After my daughter I am now about 130 pounds and a size 6. If I didn’t have you to guide me through workouts and get the personal training and attention I needed- I wouldn’t feel as comfortable and more confident in the clothes I am wearing now. After my son I tried to improve my eating habits but resorted back to more takeout than cooking at home. After my daughter I have taken a more dedicated effort to eating better with cutting down my portion size and very rarely drinking pop (which I LOVE). After my son I started bootcamp with you and enjoyed the group fitness but could only commit to one day a week and usually did not do any additional exercise outside of class. After my daughter I committed to seeing you for personal training 2 days a week and also took an additional group fitness class once a week. I found myself going for walks when I didn’t have classes to keep active and I can’t tell you how much healthier, fit and stronger I now feel. I had to buy new pants and tops and love the fact that I am seeing more muscle tone in my body. My endurance is more than it ever has been – especially in my physical activity and those darn tabatas. Thank you for continuing to support me through my fitness goals and keeping me on my toes…literally! Since having her daughter she has lost 25 lbs, a total of 20 inches and 8% body fat. She has not been this weight since she got married which was 4 years prior to her first child being born. How amazing to say you are the same size as when you got married. Motivation. Confidence. Self-worth. Transformation. Happiness. Better mood. All of the things you feel or achieve when you workout. You’re willing to spend your money on gimmicks and products that may help you drop the weight quickly but it doesn’t teach you how to keep it off for good. Stop taking advice from someone that doesn’t have a college or university degree or any formal type of education surrounding health and wellness. You only have one body and as far as we know, one life. Your health is not something to experiment with. Just like you wouldn’t ask a friend to perform a dental surgery on you, why would you turn to a non-certified, uneducated individual for health and wellness advice? Even a massage. Would you trust your friend to give you a massage or would you see the assistance of an RMT? The art of personal training is methodical and scientific based. It’s a health science for a reason. As someone that has graduated from an elite fitness and health program I am educated on the anatomy of the human body (I performed a bell ringer just like an RMT or Chiropractor would have), biomechanics, workout periodization, special populations (aging, prenatal, injuries, diseases, etc. ), various fitness assessment testing, fitness appraisals and how to read an ECG test just to name a few. I am not just a personal trainer who you see for 60 minutes and then don’t hear from me again until our next session. I am your coach, cheerleader, friend, therapist and psychologist. I will never put you down and will never make you perform an exercise that is unattainable or could make you susceptible to injuries. I always have an open line of communication to check-in. I like to see how you’re feeling, chat about your meal planning and what type of exercise you are doing when I am not with you. I create monthly plans to keep you on track. There are so many options to keep you moving forward. No two people’s workout plans will ever be the same. That’s the beauty of having a personal trainer in your corner. Trainers are there for YOU. We aren’t there to get our own workout in (that should be part of our own work/life balance), we are there to help you succeed every way possible. I will not allow you to make excuses (because those never got anyone results) and will always make sure I continuously motivate and cheer you on to success. I am not here to make you feel bad or devalue your worth. Everyone, both men and women, are entitled to feel their best. You didn’t get to where you are by working out 5 times a week and eating fruits and vegetables all day. I know that’s quite blunt but it’s the truth and the faster you can realize what you need to do in order to change (with my help) the faster you will see results. Somewhere along the line you lost your drive to be something better, to lead a healthy lifestyle. You lost who YOU were. Let’s find that old you together and re-identify your self-worth. This is a lifestyle change that will forever change your entire outlook on life. It’s the most wonderful feeling when you notice results and feel accomplishments for small things in your daily life that you couldn’t do before. Yo-Yo dieting or trying every new fitness trend DOES NOT WORK! Let’s realize that now so you can start fresh and start making permanent lifestyle changes. You may think that personal training is a luxury but let me put it to you this way. Your life is the most important luxury you can own. EVERYONE (including personal trainers) needs a Personal Trainer. I’ve personally had one and it was the greatest investment I made. That’s not to say that I can’t put a stellar program together and see results. I love having the guidance of a knowledgable professional that is going to motivate me for that hour. I like having the appointment in my calendar because it makes me feel in control of my daily life instead of fitting it in when I can and perhaps forgetting about it all day until it’s far too late to get a workout in. Whether you’re looking to lose weight, gain weight, train for a race, train for a specific sport or are stuck with your routine, have plateaued and need a challenge, EVERYONE needs a personal trainer. Re-allocate that budget you would’ve spent on gimmicks and trendy workouts to hiring Fizzique Fitness. We will not only provide you with a fitness program that will transform your body but we will teach you what you need to do on a daily basis to ensure you achieve your goals. At Fizzique Fitness, we change lives and make you stronger everyday. You can invest in your health now, or you can pay for it later. Either way, it’s going to cost you. I came across a quote the other day that said ‘I have get to workout’. Having to workout and GETTING to workout are 2 different things. Just changing 1 word in your vocabulary can make your outlook on life and goals seem different. We all have goals but changing your frame of mind is what will help you achieve and conquer them. Let’s not take movement for granted. Get Your Hands on the Best Workout! I’m expanding Fizzique’s services and bringing the workout to you! I know it’s tough to get to our classes during the week with family obligations, etc so I wanted to provide you with a way to benefit from the workouts. I bring you, Undefeated!! I am so humbled by all of the support I have received for this DVD and can’t keep enough in stock at one time because they are selling so quickly. This is definitely the most anticipated workout DVD. 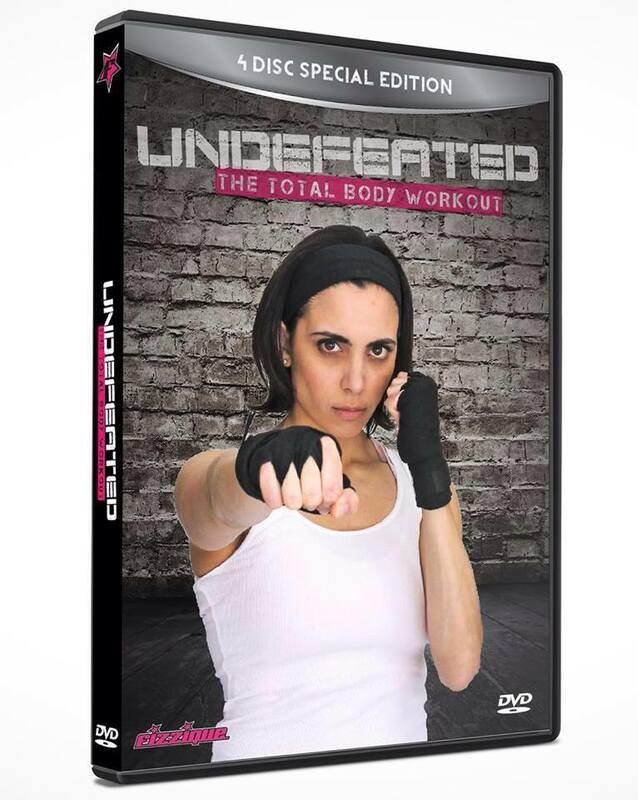 The DVD is 90 minutes and consists of 7 workouts varying from Tabata, HIIT and a Total Fizzique portion. Short on time? Complete a 4 minute Tabata. Mix and match the workouts so you are never bored. Create muscle confusion to constantly see results. Experience the workouts that are transforming bodies. *if it needs to be shipped a $2 shipping fee will apply. Comment if you’d like a copy and share if you know a friend who would benefit from these awesome workouts! I will be promoting the best boot camp in Stouffville at the 30th Anniversary of the Stouffville Strawberry Festival. Watch this video of 2 great exercises to tackle your core. Take a 30 second rest and repeat 3 more times for a total of 4 sets. Keep me posted with how you felt after the workout and if you have any questions.